Here is a photo of our team in 2017. We have been growing and our uniforms look better, too! 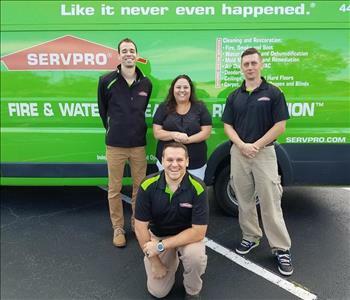 Here is a photo of our Water Damage Team taken in 2017. Cumulative experience in this photo: Over 45 years experience and 16 Industry Certifications! Here is a photo of our Detail Team in 2017. 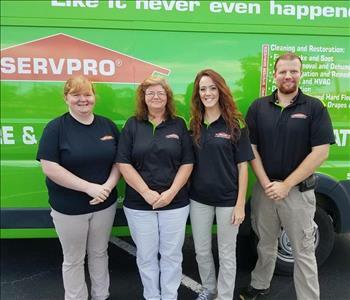 They are directly responsible for all the great customer reviews we get for cleaning up Fire, Smoke, Soot, and Mold! Here is a photo taken of our Marketing Team in 2017. Want to know why they are smiling so big? 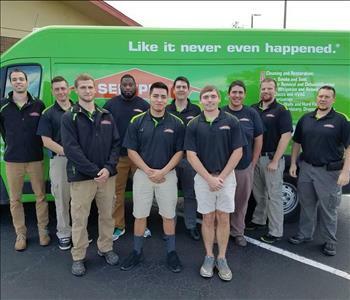 Cumulative Team stats include 20 years of hands-on experience in Restorative Cleaning, 10 years experience in Emergency Dispatch for Water and Fire calls, 5 Industry Certifications, and 7 years experience teaching Continuing Education Courses to Insurance and Real Estate Professionals. That's right, our Marketing Team has better credentials than some competitors do in their entire company! Here is an older photo of our Restoration Crew Chiefs taken in 2010. 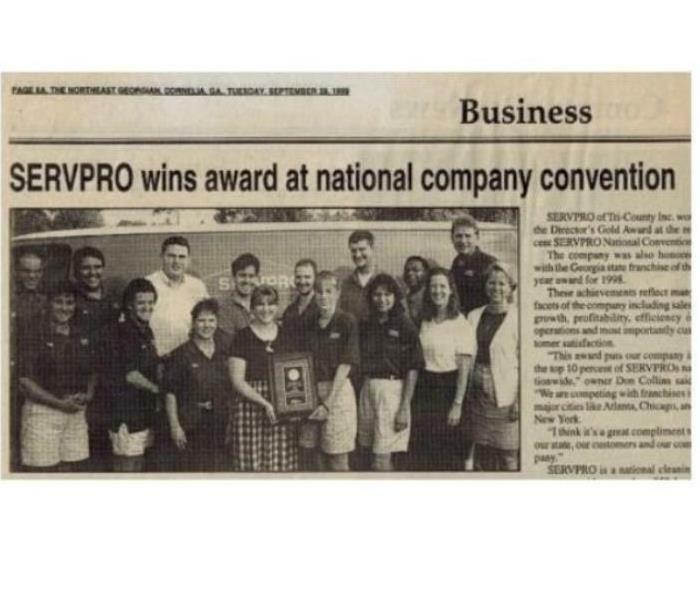 What an amazing blessing these guys have been to our company! 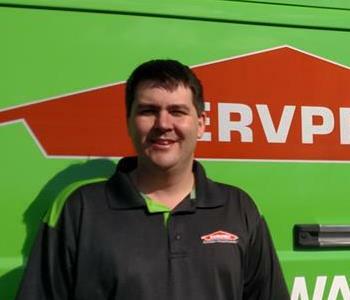 Nick is the Production Manager at SERVPRO of Tri-county. 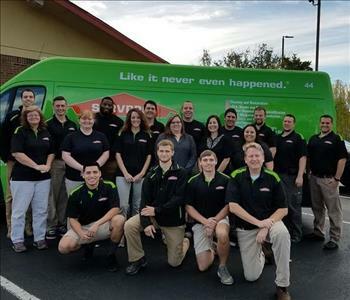 and has been with SERVPRO since 2003. He has over 12 years experience in Restoration and has certifications in Fire and Smoke Restoration, Water Damage Restoration and Commercial Drying Specialist. 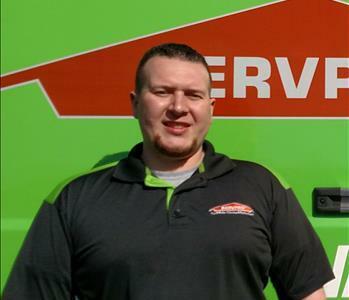 Nicholas is one of our Senior Crew Chiefs at SERVPRO of Tricounty. He has been with us since August 2006. 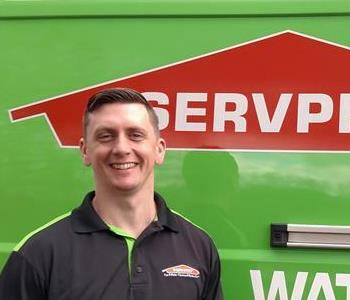 He has over 10 years experience in disaster response and cleanup caused by fire/water/mold. 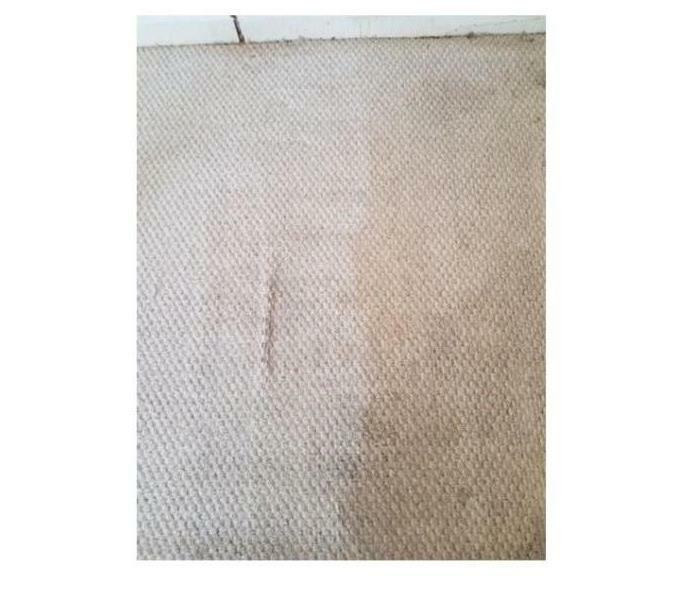 Certified through IICRC for Water Remediation Carpet Cleaning and Restoration. He is also experienced in building construction and general carpentry as well as controlled demo. Outside of work his hobbies and activities include, spending time with Wife and kids, weight training, mud runs, kindergarten Trail guide for 'TrailLife USA' and a kindergarten teacher at 'Impact church'.